It seems as though its that time of the year, when Nokia decides to bring a fresh lease of life into its wide range of smartphone devices. 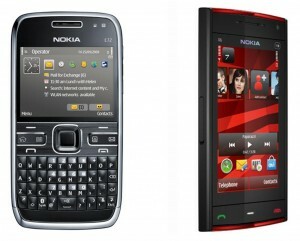 This time the Nokia E72 has been updated to v31.023, which brings a host of new features and updates, and the Nokia X6 has been updated to v20.0.5. Unfortunately the X6 update has not come with an official changelog, however reports suggest kinetic scrolling has now been enabled throughout the UI, which is great news. As for the E72, well, hit the jump to see the huge list of new features, updates and bug fixes. Don’t forget to check our handy guide on how to update your device. Of course no love for the E72 NAM. Makes me wonder if my next phone will be a Nokia.